Hello :-) Today I wanted to introduce you to an Australian product which I will try and rate after I've used it. 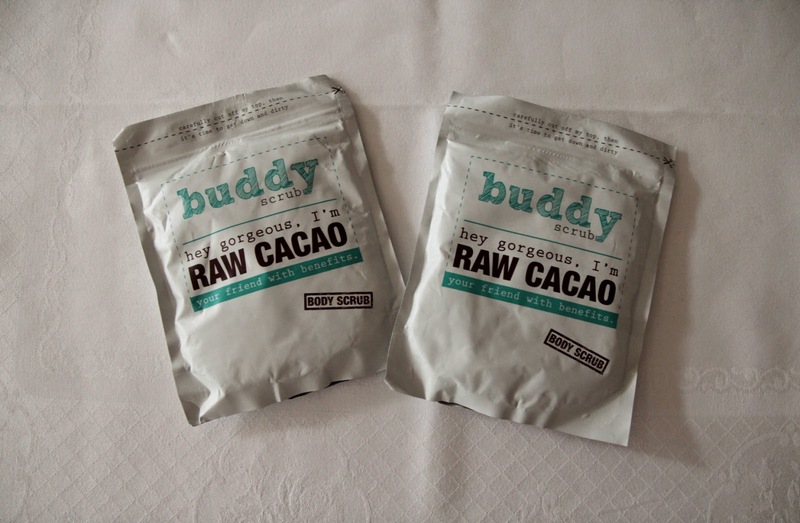 It is the Buddy Scrub Raw Cacao! It is, as the name says, a body scrub. This scrub is so special because of its ingredients (sea salt, brown sugar, raw cacao powder, coconut oil, almond oil and grape seed oil). It contains lots of vitamins and minerals, which are good for your skin/body. I'm going to try it out and tell you what happened with my skin after some weeks of using it (I will use it 4 weeks, and every week twice). I am so excited to see what will happen :-) I will do a little 'update' each week, so make sure to stay updated :-) Special thanks to BuddyScrub! If you want to try it too, click HERE. Hugs and love!